The qualifications landscape for university admissions has been undergoing significant change. In the UK, not only are qualifications themselves undergoing significant reforms, but there has been a significant shift in the types of qualifications with which many young people are applying to university or college. 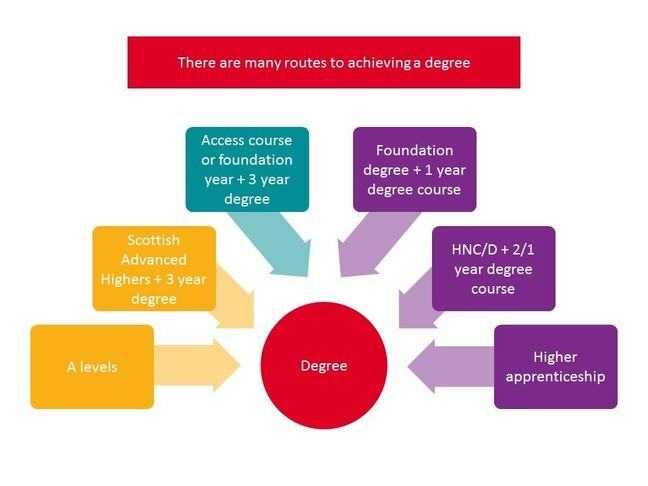 This article looks at some of the different progression routes to higher education. It concentrates on UK qualifications. International and EU advisers can find out about more about how their students’ qualifications compare to UK equivalents using the current UCAS Qualification Information Profiles: EU & International. There are also some links at the end of this page to useful sources of information for international students. The current set of UCAS Qualification Information Profiles are also in the downloads section below. These are updated every July and available at this link to UCAS website Guides & Resources. For students aged 19 and over without the necessary level 3 qualifications, there are Access to HE Diplomas which prepare people for study at university. Vocational or Applied General qualifications are widely accepted for entry to HE. Around 95% of universities currently accept BTEC for entry, and for over 70% of degree subjects. Vocational qualifications are a good option for students who know the broad career area they would like to work in, who prefer an applied learning style with more assessment than examinations, but are happy to complete the relevant academic study necessary to achieve a degree. These are often studied in combination with other qualifications, such as A levels. Vocational qualifications are usually used for progression to related subjects at HE level, but many are transferable to other subject areas although the ability to do this depends on how specific and practical the level 3 course content is, and of course the grades achieved. Universities increasingly recognise the broader transferable skills these qualifications develop and the commitment required to achieve them. Apprenticeships are employer/work based programmes and linked to learning within a university, college or training provider. Students usually apply directly to the employer offering the apprenticeship. Employees are released for study at their linked training provider, FE or HE institution, usually in blocks, to complete the study required. Higher apprenticeships can lead to NVQ level 4 and above, or a foundation degree. Degree apprenticeships, a new type of higher apprenticeship, can lead to a full undergraduate degree as part of the apprenticeship. It is important to check the full details of the job and apprenticeship with the employer and training provide including the basis on which selection is made. Apprenticeships are a good fit for students who want work experience rather than to study full-time at university, but would like to work towards the same graduate status. Students need to be highly committed - competition is fierce and entry qualifications can be high. They may want to keep their options open by making an application to university through UCAS at the same time. Once students have completed a level, they can progress onto the next level qualification and may be able to progress onto a different qualification type in a similar subject. A Foundation Degree is usually a two year course (or longer if part-time), often in a college, which can be used as a stand-alone qualification for employment (FdA or FDSc). 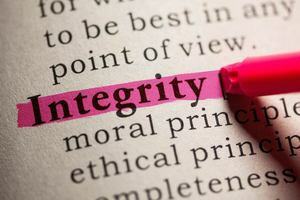 They focus on a particular job role or profession and are designed in association with employers. They combine academic skills and knowledge with workplace performance and productivity. They are more commonly used as the basis for progression to a final ‘top-up’ year, leading to a BA or BSc full degree. The final year may be taken at a different institution. Foundation Degrees can be a destination for school leavers at 18 and a qualification towards gaining degree entry. This route is a good option for students who need a course with lower entrance requirements and fewer examinations, for those who would prefer a vocational degree, or are not yet ready to commit to three years at university. Other routes to a degree include through taking the Higher National Certificate (HNC), a one year work-related course which is equivalent to the first year of a university degree programme. The Higher National Diploma (HND) is a two year work-related course which is equivalent to the first two years of a full honours degree. As with the Foundation Degree, it is possible to progress from a HND to a full honours degree at a university. You can find a range of resources and documents in the download section at the bottom of this page. These provide more details on particular topics we have touched on in this step if you want to find out more. They include more information on the different post-16 qualifications as well as resources you can use with your students to explore the different pathways further.